For four years, a tucked-away monitoring system in a certain visitation room at the Anchorage jail recorded conversations between attorneys and their clients — defendants in criminal court – without anyone knowing. Now defense attorneys are concerned — some are livid — about what they say is a striking violation of basic constitutional rights. Quinlan Steiner, the state public defender, in December learned from the state that the recordings were secretly and routinely made from 2012 to 2016. The files were automatically recorded over every 30 days. The new information was circulated last month to about 120 Alaska criminal defense lawyers. "It's not a close call. It's not permissible," Steiner said of the recorded conversations between lawyers and defendants. "They have to be confidential so they can be candid." State corrections officials say the recordings generally were not listened to or provided to law enforcement, though in one case, that did happen. And defense lawyers suspect the problem may be prevalent. The recordings began in 2012 when suspected serial killer Israel Keyes was arrested and held at the Anchorage Correctional Complex, said Clare Sullivan, deputy commissioner of the state Department of Corrections. The FBI asked the department to add an audio recording element into a visiting room where Keyes met with his girlfriend, according to the U.S. attorney's office. The audio recordings are no longer done, Sullivan said in an interview. "At this time there are no recordings in existence in ACC from this visiting area, and the capability to monitor/record has been disabled," Sullivan wrote in a Dec. 6 email to Steiner, who had heard rumors of recorded conversations and asked her for information. The particular room was a secure spot for Keyes, a high-profile, high-risk inmate, said department spokeswoman Megan Edge. Federal investigators hoped Keyes would tell more about what he had done, Sullivan said. "They were thinking there might be more bodies," she said. "Perhaps they might get that information from Keyes at the time." Keyes, jailed in the killing of Anchorage barista Samantha Koenig, was talking directly to investigators and told them he had killed at least eight people, including her, then-U.S. Attorney Karen Loeffler told reporters in December 2012. The public revelation that Keyes was a suspected serial killer came after he committed suicide in jail, damaging efforts of investigators to learn more about his victims. After the suicide, the staff did not turn off the recording equipment until the jail "rediscovered" it in November 2016, Sullivan said. "They just simply forgot about it," she said. The Anchorage jail got a new superintendent. A senior sergeant retired. The recording system wasn't on the new command's radar, nor on Sullivan's when she became deputy commissioner, she said. 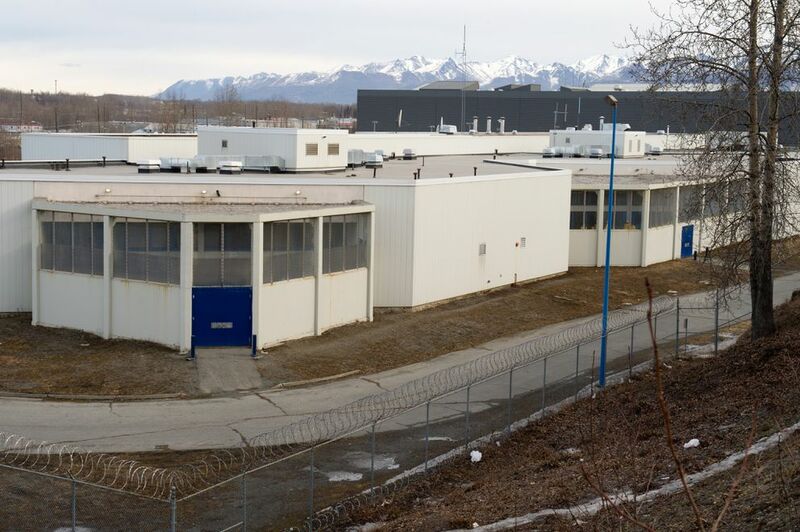 When Keyes was jailed in Anchorage, Sullivan was in Seward at Spring Creek Correctional Center, where she worked for 18 years, including as superintendent. "It really wasn't in my wheelhouse," she said. Federal investigators and prosecutors didn't know the audio recordings were continuing either, the U.S. attorney's office said. The office said it takes the attorney-client privilege seriously. Anchorage District Attorney Rick Allen said he was unaware of any recordings between lawyers and clients used in state cases. Jail visitation rooms are monitored, and sometimes visits are recorded on cameras that don't record audio, Edge said. For Keyes, the jail added a separate audio recorder, she said. Both the camera and the voice recorder fed into the same server, which recorded over older files every 30 days. The special room is in the former Cook Inlet Pre-Trial Facility, now called Anchorage Correctional Complex West. The system was recording 24-7 until it was shut off in November 2016, Sullivan said. She said jail security Sgt. Thomas Elmore stumbled across the audio recordings in reviewing video footage. "I don't know if we would call it dumb luck or otherwise," Sullivan said. "He said 'That's no good. That's an attorney visiting room.' "
The discovery in 2016 of the audio recordings came during a federal drug investigation involving Anchorage defense lawyer Kit Karjala, said the U.S. attorney's office. Investigators asked for video surveillance of that same visiting room that had been used for Keyes, said Frank Russo, the criminal chief for the U.S. attorney's office. By then it was used both for personal visits as well as those between lawyers and jailed clients. Investigators received seven recordings – the only time they have asked for recordings from that room since the Keyes case in 2012, the U.S. attorney's office said. They did not get a warrant from a judge because that is not necessary for visual recordings, only for audio, Russo said Monday. "Once it was discovered that the recordings potentially contained audio, the criminal investigators immediately segregated those recordings, did not listen to them, and the U.S. Attorney's Office immediately alerted counsel for the Department of Corrections, who removed that capability," federal prosecutors said in an email. A special federal review team now has the recordings. Prosecutors and investigators on the Karjala case don't have access to them, Russo said. Along with inmate Christopher Miller, Karjala faces federal drug charges in what prosecutors call a scheme to smuggle drugs into jail, including a heroin mixture as well as a narcotic used to treat heroin addition. Seattle attorney Peter Camiel, who is representing Karjala, said he could not discuss the case or the matter of the recordings. Chester Gilmore, the Anchorage attorney for Miller, said he couldn't comment either. A criminal complaint against Karjala and Miller details video recordings of their meetings in a jail visiting room. It said the camera captured visuals "but no audio." It also says he was being held in the east-side building, not the west-side one where the Keyes room was. Russo said that Miller moved back and forth, and was on the west side for a time, but those videos remain segregated. Steiner, the public defender, called the need for confidential conversations "critical to the criminal justice system." Still, nothing has emerged to counter the department's assertion that it didn't misuse the audio recordings, he said. He said he let other defense lawyers know about the secret recordings so they could examine their own cases for troublesome elements. "People are concerned that it existed at all, unknown even. And that it could have been exploited. There is just no indication that has occurred," Steiner said. Some defense lawyers are outraged, including Erin Gonzalez-Powell. She filed a motion in one Anchorage criminal case to force the Department of Corrections "to provide materials related to the illegal recordings of attorney-client communications during attorney-client visits held at Anchorage Correctional Center West and East." Defendants have the right under the Fifth Amendment not to incriminate themselves and to remain silent, and also a right under the Sixth Amendment to effective counsel, Cindy Strout, president of the Alaska Association of Criminal Defense Lawyers, said in an interview. Private conversations between lawyers and defendants are essential to those rights, Strout said. Gonzalez-Powell remains skeptical of the corrections department explanation. She said she doubts the recording took place in only one room, and doubts that it has stopped. Some of her clients are afraid to talk to her in the jail and pass notes instead. Defense strategies may well be compromised, she said. She wants confirmation from someone outside the department that no corrections employees, law enforcement officers or prosecutors were allowed to review the recordings. She wants to know where recording devices were installed and why. She wants proof that the recordings have been destroyed. "If they are permitted to go unsanctioned for this conduct, then the foundation of our constitutional rights will be eviscerated," she said in the recent court filing. Like Gonzalez-Powell, Strout is concerned that surveillance is more prevalent than has been revealed. The prison system also records inmate phone calls but isn't supposed to record calls with their attorneys. In 2014, the Corrections Department discovered some attorney calls were being recorded, Edge said. Strout called it an "ongoing problem." Attorneys now register their phone numbers, and the numbers are entered into the phone system run by contractor Securus Technologies, Edge said in an email. That blocks the recording capability. But if an attorney switches phones, the block won't work, according to corrections officials. A suspect cannot invoke a right to silence if the government is listening, Gonzalez-Powell said. She is seeking a judicial finding that defendants' constitutional rights were violated. Editor's note: An earlier version of this story, posted on Monday, incorrectly said the U.S. attorney's office "did not provide an explanation" when asked about the recordings last week. The office did respond to the Daily News in an email late Friday. The email was not noticed before the original version of the story was posted Monday. The story was updated later Monday to include comments from the office.